Marketing: an integral part for the expansion of business. This applies to companies and freelancers alike. After all, freelancers are a type of a company, with a more personal touch. Most of the time, freelancers are called to fulfill the role of a marketer (among other roles!) and apply strategies so that they make their voice heard in a jungle of the freelance world. A part of this marketing effort is played by marketing materials. They are the means of acknowledging your business existence to new clients, reminding of your business to old clients. In this article we will explore some of them together. 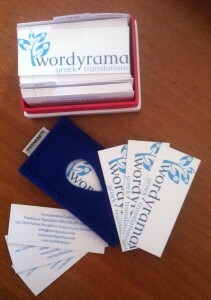 Business cards: The heart and soul of every professional that has the dream of business expansion! Especially, if this business individual attends conferences, small business exhibitions, and any other business oriented large meetings where cards can be distributed widely. I am a fan of business cards! Also, I am a fan of updating them every now and then! So, what needs to be included? Your name and title, a postal address, your business URL, an email of contact, a telephone number and perhaps a fax number. Now all these on one side! One the other side? Your business logo and a catchy phrase, if you use one on your website. Stationary: pens, pencils, note pads, post cards, note cards, stickers and the like! A print of a logo and perhaps a catchy, smart phrase are what it takes for any of the above to become individualized and play their own role in a marketing strategy. Now, you may wonder how these can serve your marketing strategy. I tend to reward my best of the best clients with a goodies bag every year. Such products are sent to them as a “thank you” while they remind them (in case they have forgotten), your business name. Although I mentioned that I sent goodie bags to selective clients, I need to be honest to you: I send them to every single direct client of mine. When I receive a gift from a company or another freelance translator (for instance, I received stickers from Scheherazade Suria, the Pin-Up Translator, as “a thank you” for tweeting her wonderful translation themed pin-ups), a smile was curved on my lips and I will remember her next time I am asked to give details of a Spanish translator. See? It works! Clothes & Bags: The creation of these is quite pricy, so it depends on the budget a business has set on marketing materials. 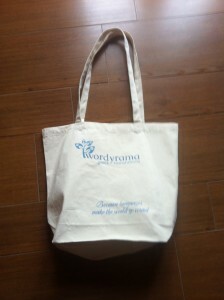 Imagine if you create a T-shirt or tote bag with your logo on, for example. Now, whether you are presenting in a conference or you are just walking down the street, a lot of people with familiarize with your logo. OK, perhaps you wish to be dressed in a more formal way, especially when attending a conference, so why not having a shirt with your logo embroidered on it? Again, one never knows when your next client will appear from. These can also serve as an award in a competition you have organized, or be part of your bag of goodies! All the marketing/advertising materials need to co-ordinate with your online presence. For instance, your website theme should much your Tweeter account; your business card design and logo should be in accordance to them as well. If you wish to create a brand for your business, it is wise to have them co-ordinated. Have your say: Are you using marketing material as part of your marketing strategy? How do you use them? 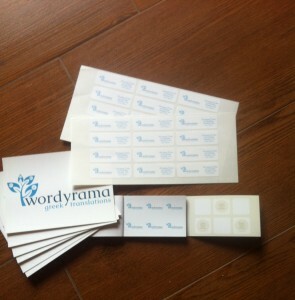 Do you think branding and marketing material are effective and may assist in the growth of your business and revenue? Your thoughts!